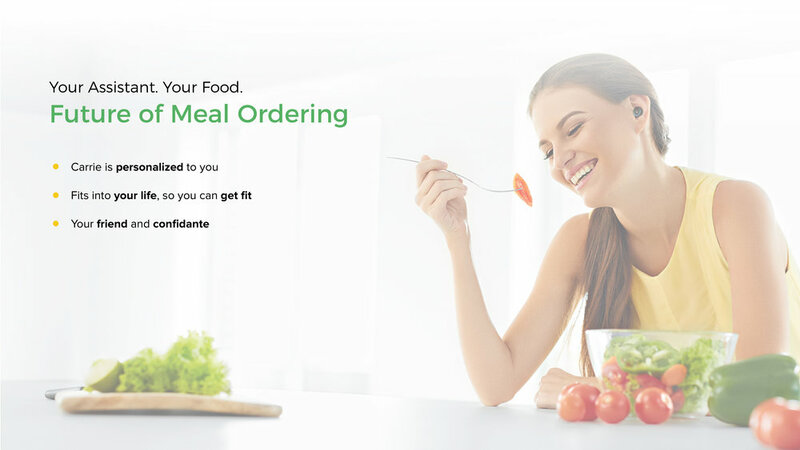 Carrie is a personalized conversational user interface (CUI) food ordering assistant that allows users to make healthier choices in their food selection. 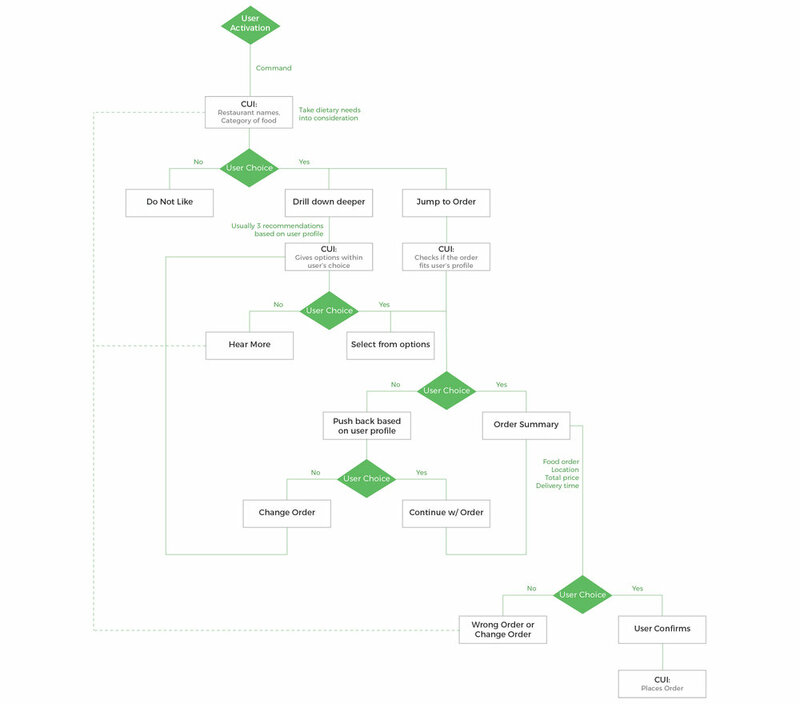 Designing a novel CUI for meal ordering service-context where users are interacting with CUI without a device in their hands, make use of previous user interactions to anticipate user needs, and be able to communicate system's inferences to the users. With our dialogue fleshed out for several paths through the scenario, we wanted to make sure the experience would feel as authentic for our prototype user. We envisioned the user conversing with Carrie through an earbud to ensure privacy, since we are dealing with sensitive dietary information. Since the earbud would not allow for visual feedback, we wanted to give the user other types of cues for when the CUI is listening and when it is thinking. We chose sounds that could embody those cues for the user. We also planned for Carrie to be a hands-free experience, and wanted to be sure users could carry on conversation while doing another task. 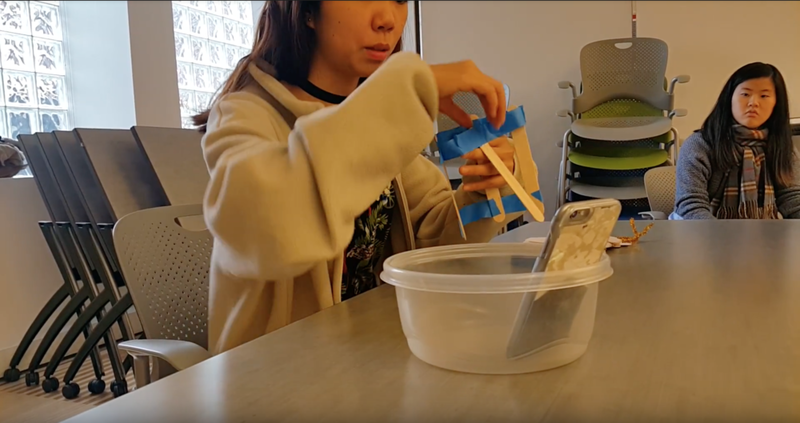 We asked users to build a house out of popsicle sticks as they used our prototype to simulate that experience. It was a great pleasure working with and learning from talented peers in this relatively new field of designing for conversational user interfaces (CUIs). The most challenging part of the entire process was designing for an experience without visual cues and understanding differences in user's mental-modality when interacting with CUI. Through this project, I strongly realized the importance of error prevention and recovery for CUI systems as well as take into account situations where user may be interrupted during their engagement with the CUI agent. I am excited to see the continuous exponential growth in CUIs and voice user interfaces, bringing new user experience problems that would need to be addressed and solved for.